One of the key points of any architectural visualization project is first contact with a client, where we receive a set of technical drawings to take a look on a project. I receive CAD files to evaluate all the time, and since I got a tool like AutoCAD WS on my phone and tablet, I can evaluate those projects anywhere. But, AutoCAD WS can show DWG files with 3D data very well, which made me lose some time looking for a computer to be able to open those types of files. 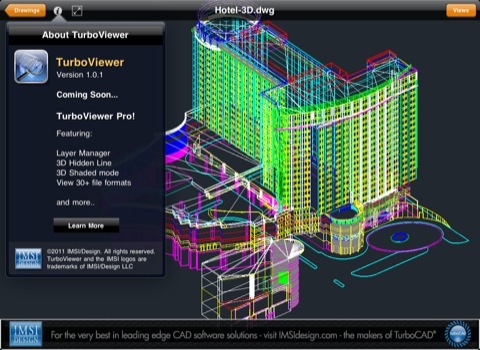 Well, there is a tool now developed by IMSI/Design called TurboViewer that is available for the iPad/iPhone, and it can open DWG files with 3D Data! If you need this type of mobility to view DWG files, I recommend you to check out TurboViewer! Did I mention that it is a free download?  I have meeted a new application for google chrome: AutocadWS and I want to recommend it. You can share and transform drawings with some tools very usuable. Congratullation for your so good website! I already use AutoCAD WS with iOS. I will try it with Android.